In a war the size of WWII, a war that threatened to swallow the entire world whole, there are endless stories to tell about it. There are traditional war stories about the soldiers and the generals. There are stories about the civilians and the way that their cities and lives exploded while the world was seemingly self-destructing. And there are the stories of the non-combatants like the field medics, the surgeons, and the nurses who enlisted and did the terrible, necessary jobs that war demands, the people whose stories are so often untold. 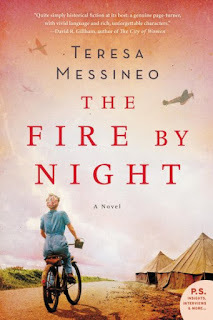 Teresa Messineo's debut novel tells the story of two enlisted nurses, in two different theaters of this agonizing war as they struggle to survive themselves while still ministering to others. It is a powerful, visceral, and crucial tale to tell. Jo McMahon is an Italian-Irish girl from the Bronx who enlisted after she finished nursing school. 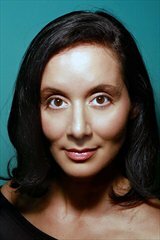 As the novel opens on the European theater, she is preparing to move out with the rest of the staff and patients in her hospital unit due to the shifting front line. It turns out she has to remain behind with six injured men and an elderly doctor whose grasp on reality is questionable when there proves to be no room in the caravan for all of them, but it should only be a short wait until the trucks return. When the trucks don't come back, Jo and the men are stranded, alone and cut off from the rest of the hospital unit. She vows to keep the men alive even in the face of ongoing tragedy, increasing danger, diminishing food supplies, and almost constant, if numbing, terror. Meanwhile, her best friend from nursing school, Kay Elliott, a small town Midwestern girl, has been posted to the Pacific where the rounds of parties and fun stopped abruptly with the bombing of Pearl Harbor. With the war not going well, Kay, her fellow nurses, and patients have taken shelter in the dark and claustrophobic Malinta Tunnel, a place that cannot hold out in the face of the advancing Japanese. and so she ends up in a POW camp, starving and witnessing the appalling atrocities during and after the Bataan Death March but still determined to serve others in her capacity as a nurse. Both Jo and Kay faced huge losses personally because of the war but their dedication to their calling and those who depended on them was unflagging, even if it was done with damaged and aching hearts. The narration alternates between Jo's and Kay's experiences, detailing the overwhelming horrors of the war, showing the difficult and unthinking bravery that the women showed, and chronicling the suffering and loss that today we almost cannot imagine. 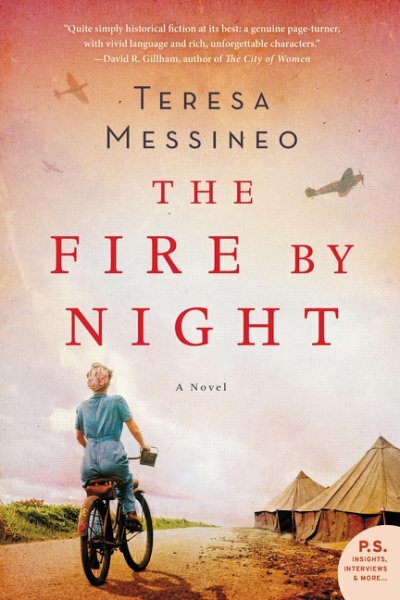 Messineo has thoroughly researched life for combat nurses in WWII and has brought this life into stark detail on the page. The characters of Jo and Kay are both broken and heroic. As the war winds down and finally ends, the immediacy of the novel tapers off but it still shows, through Jo and Kay, the lingering effects of having been to war and witnessed inhumanity on a grand scale and also showcases what life outside of the intensity and survivalist mode that war necessitates looks like, giving the ending a very different tone than the first three quarters of the novel. Jo and Kay's stories only overlap very minimally, generally in flashbacks to their time in nursing school, so the novel is not so much a novel of friendship as it is of love and loss, bravery, and amazing endurance. Fans of WWII novels, those who appreciate strong but imperfect female characters, and those who enjoy gritty historical fiction will find this to be well worth the read. For more information about Teresa Messineo and the book, check out her website or like her on Facebook. Check out the book's Goodreads page, follow the rest of the blog tour, or look at the amazon reviews for others' thoughts and opinions on the book. I'm glad you enjoyed this book! I'm very much looking forward to reading it myself.